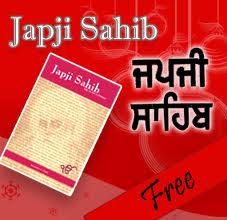 Japji Sahib consists of the Mool Mantra as the beginning followed by 38 hymns and a final Salok at the end of this composition. 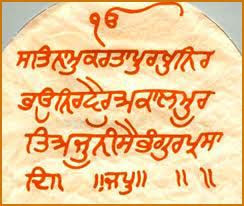 The Japji appears at the very beginning of the Guru Granth Sahib, the Holy Book of the Sikhs. It is regarded as the most important Bani or 'set of verses' by the Sikhs and is recited every morning by all practising this faith. The word ‘Jap’ means to ‘recite’ or ‘to ‘chant’. ‘Ji’ is a word that is used to show respect as is the word ‘Sahib’. 'Ji' can also be used to refer to one's own soul. ‘Message of the Gurus’ is unique in the faith.